System component kits based on realistic practice offer the greatest possible freedom to experiment. 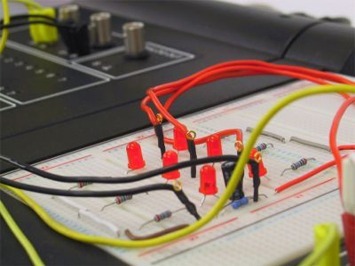 The basic component kits can be used to explore the basics of electrical and electronic systems. When combining any desired components in more advanced experiments, complex electronics applications can also be covered. Here there are virtually no limits set on the desires of the user. However, longer experimentation, assembly and disassembly times must be taken into account. The prepared component kits are assembled according to topic and each of them forms a basis for numerous experiments, as documented on the supplied CD-ROM in the form of TINA projects. We especially recommend that this be combined with the UniTrain-I-Tina circuit simulation system. Using UniTrain-I TINA you can plan, develop and even perform preliminary tests on circuits without using any hardware. Then the circuit is integrated into the UniTrain-I environment for testing using real measurements with LabSoft. There are two possibilities available for the setup and assembly of prototype hardware. The breadboard is the first choice for rapid assembly of small analog or digital circuits. Alternatively or additionally you can perform a soldering exercise in equipping a PCB with a prototype circuit and ultimately testing it in the Experimenter. Breadboard and set of cables for the UniTrain-I Experimenter. 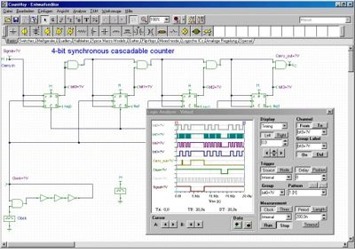 The breadboard is inserted into the Experimenter to create a comfortable system for experimenting with wired components to make up to integrated circuits (ICs). Incl. set of cables in transparent box with 5 trays, each equipped with 140 insulated ends, angled-type experiment cables in 14 different lengths. Incl. 6 each flexible adapter leads 1mm to 2mm with lengths of 20 cm. On the rastered PCB experiments on individual topic areas the user can assemble circuits using soldered wiring connections (e.g. as soldering exericses). Site generate in 0.113 seconds.